Darc, Joe says a direct drop in with much better performance!! Ok OPA2134 it is. Thanks so much Lee. I'm looking at taking it even further by following exact calibration steps from the service manual. Previously I have only done Wow/Flutter, and speed adjust using a scope program on my computer and a test tape which was made by a professional. 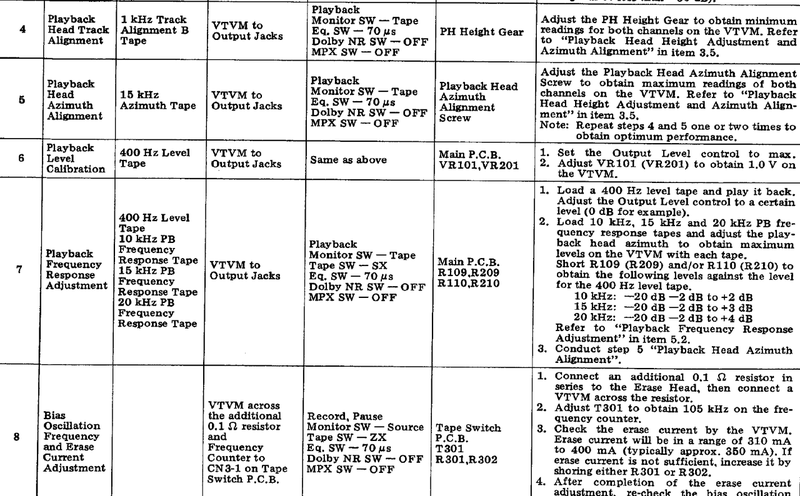 The service manual mentions a Vacuum Tube Volt-Ohm Meter which is used for the majority of the tests. It seems that there are only vintage units of these still available 2nd hand. My question is, what alternatives do I have? Is there something more modern that I can use or purchase fairly cheaply? Also a Big Thanks to Joe for the advice on the OP Amp, us Amateurs need all the help we can get! I hope in time that I can get up to Pro level with these decks when it comes to service manual calibrations. Ok upon searching the internet, they say I can use a multi meter. 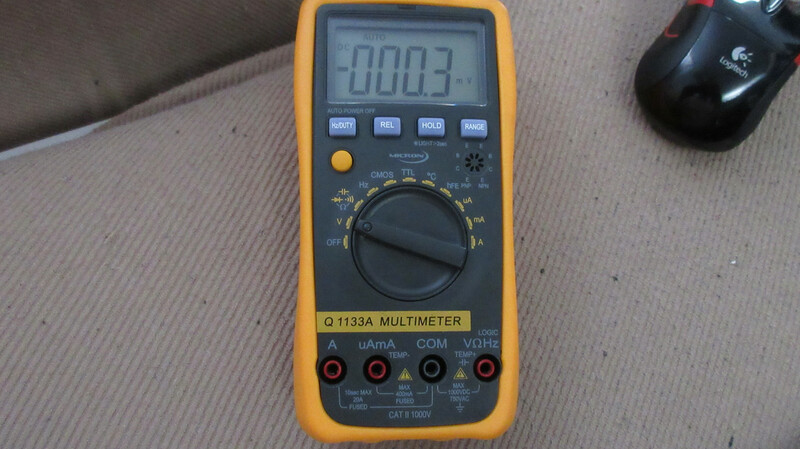 I will take a screenshot from the service manual and a picture of the multi meter. What setting and input do I use on this thing? Dropped the OP2134PA into Line input stage, it worked and sounds great. Recorded Natalie Merchant's 'Tigerlily' MFSL CD, excellent result. I will also upgrade the other two decks with this mod including muse caps. Thanks Lee, AC? Really? well, I guess you learn something every day! Why AC? isn't everything DC after the power supply section? Measuring tones inputted to ensure output measures a certain level to match factory calibration standards. Will look at bias later. Thanks bud. Love those Burr Browns... Somebody at Texas Instruments was a smart guy. 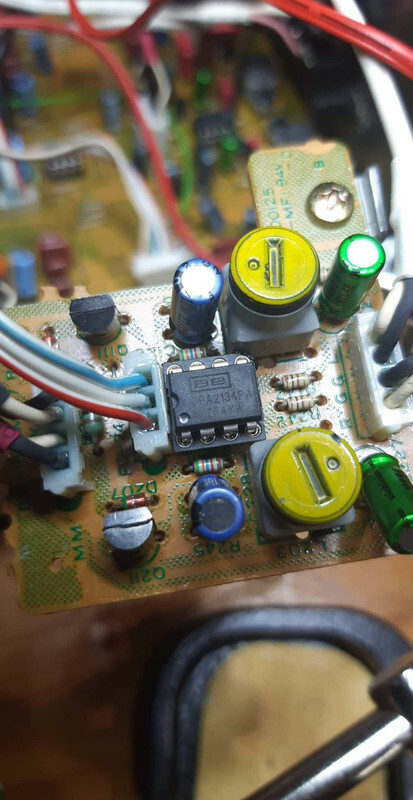 Putting an FET as the front end of an OP Amp, there's an idea!